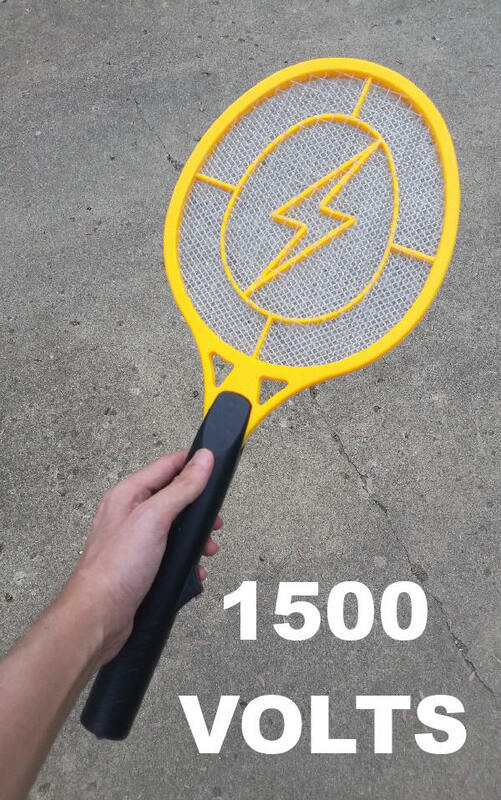 Electric Fly Swatter will easily kill all flying insects such as mosquitos, flies, and gnats, just by waving at them with the electric fly swatter. And, the Electric Fly Swatter is small enough to take with you, wherever you go. The output power is relatively low, constituting no real hazard to humans or pets. The Electric Fly Swatter has no smell, and contains no poisonous or harmful materials. However, the net will become hot when activated, so please keep away from your skin, and from children. Electric Fly Swatter is safe for indoor or outdoor use. Electric Fly Swatter is praised as the most effective, convenient, and hygienic insect terminator, as it leaves no smudge, smear or mess to clean up after. We offer two different styles of handheld bug zappers. Our most powerful 2400 volt bug zapper and the original 1500 volt insect zapper. Even with 1500 powerful volts.......its not strong enough to kill gnats, lice, fleas, fruit flies or bed bugs. 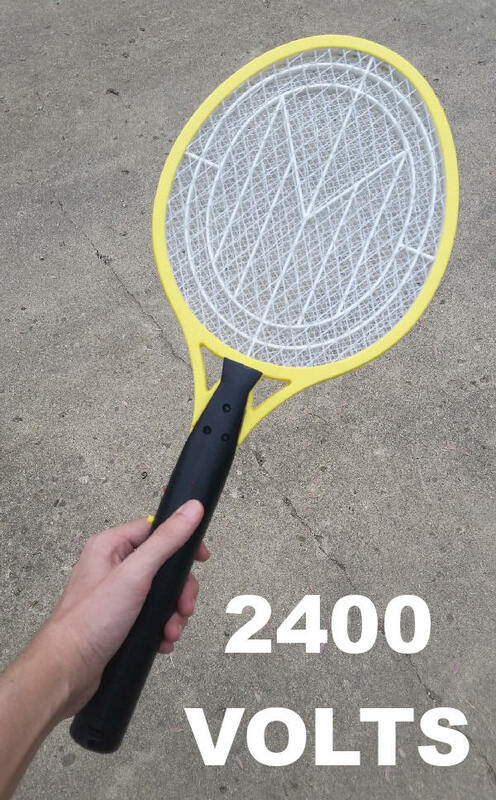 You will have to use our super powerful 2400 volt bug zapper to easily handle those pests and many more. Our patented bug zapper we feel is the best design and most powerful electric handheld insect zapper ever made. We have not found another bug zapper that is as powerful, or that can handle killing as many types of bugs. Other zappers dont have the safety features such as protective screens or allow you to keep it powered on without having to hold down the button the entire time. 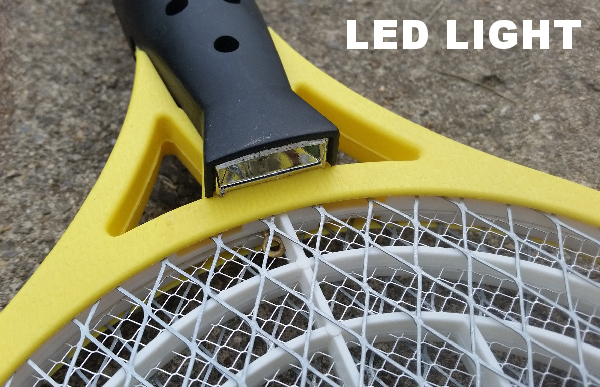 Our bug zapper stands alone with features such as the 4" zapping strip on the edge, to kill insects in hard to reach areas such as corners of walls. The one thing we absolutely love, that competitors dont offer, is the built in LED light, so you can hang it up and automatically zap insects all day. When youre trying to reach bugs back in small crawl spaces in the dark, the LED light makes a huge difference! This is not your regular weak "AA" powered electronic bug zapper. Our Electronic Bug Zapper uses 2 "D" batteries which gives off 2,400 powerful bug exploding volts! Flying insects, we have been annoyed since day one by these. Running around trying to find a means to squash them!. 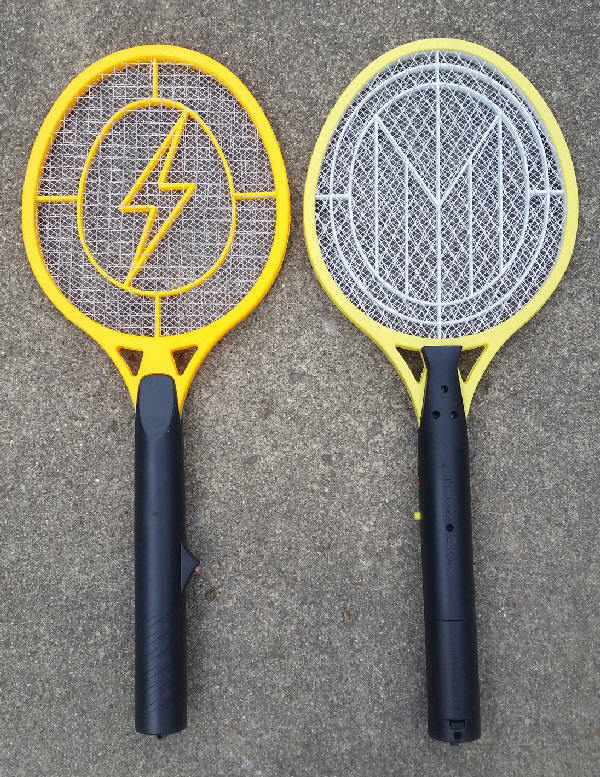 Now this patented Electric Fly Swatter kills/electrocutes all flying insects such as mosquito's, flies, gnats on contact, "just by waving the bug swatter at them." Any insect really!. It looks like a small tennis racket. A must for the home and garden! You can take the Electric Fly Swatter anywhere you go such as camping, the BBQ, beach, and your fishing trip. No more chasing down flying insects, just zap them with the Electric Fly Swatter with a simple wave! Our Electric Fly Swatter kills insects upon contact when activated. The Electric Fly Swatter has no smell, no poison or harmful materials. The center electrode will become hot when activated, so please keep away from skin and children. This is not a toy.